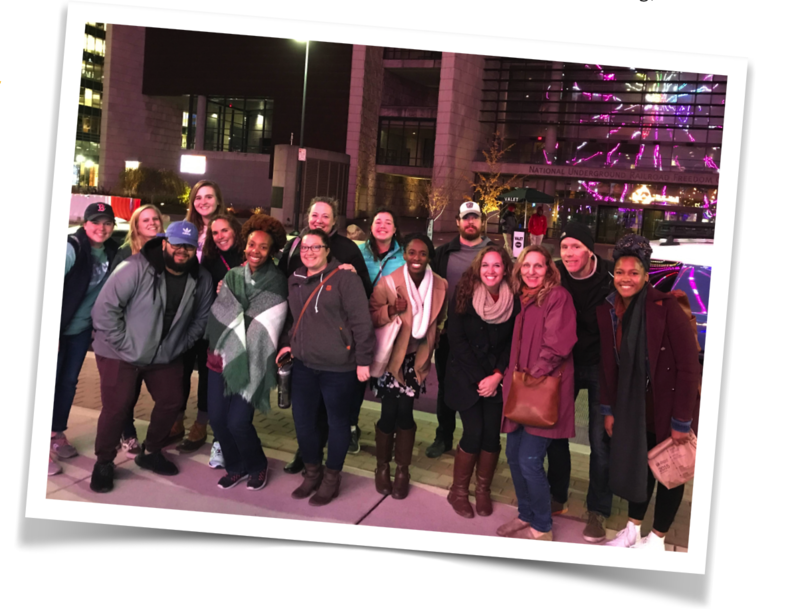 In my (Dawn) new role as training coordinator I had the pleasure in leading 15 of our new staff (including Molly) in a training conference in Cincinnati last month. As a part of the week, we helped launch some new campuses. 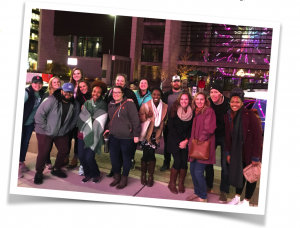 Some students from the University of Cincinnati have a heart to do high school ministry, but didn’t know how to start it. So we walked onto the high school campus with them to see what we could stir up. We prayed and prayed… and God opened doors. We just walked up to the front desk and they directed us to the principal in charge of ‘special programs’. By the end of our meeting with this man (after explaining what Cru is, that we are faith-based, have mentorships, and Bible studies, etc. ), they were asking us if we could start our program next week! Outside the school, the students flooded out as the bell rang. Our new staff began to initiate spiritual conversations using tools like the Launch Box and Soularium… tools that Mark and his team are working hard to develop. It was exciting to think that these new staff would carry all that they were learning around the country to their various cities. Imagine the hundreds of students that will hear about Jesus from Molly and the rest of this group of committed laborers! We so miss working face-to-face with students, but we are so grateful for the impact we are able to make through others like Molly. Thank you for your prayers and gifts which help us engage with, train, and equip these young leaders!